Missing addends are always a tricky concept for many students. I believe the cause of this is many reasons. Some students are still building their number sense, some students are simply careless, and some students don't truly understand that equal sign. When a problem such as this is given to many students, they will simply see two numbers, add them, and write the answer in the blank. You'll get this in return. Obviously, the 12 doesn't make sense when the problem is read back, but since most students at this age don't check over their work, they don't know to go back and rework it. And, let's face it. Most of the time, students have been taught to look at the sign and put the answer in the blank. That's exactly what this student did. They think they've solved it correctly. we talk about the equal sign and what it means. Many students will say it means "the answer" so this is something we clarify. We learn that equal means "the same" and we do a lot of demonstrations with manipulatives to show "the same." Then, I introduce THE EQUALIZER who is a super hero with special powers - he makes everything "the same" or "fair." But, his super power is in his muscles and if his muscles aren't the same, his powers won't work. So, we practice drawing his muscles. To do this, we always find the equal sign - his muscles grow from there. We draw a circle from one side of the equal sign, up and around the numbers, to the bottom of the equal sign and then repeat on the other side. Once the muscles are drawn, students have to make sure they are "the same" so THE EQUALIZER will have his powers. In the illustration above, we see that one side is complete with a 10. So, we need to make the other side also equal 10. 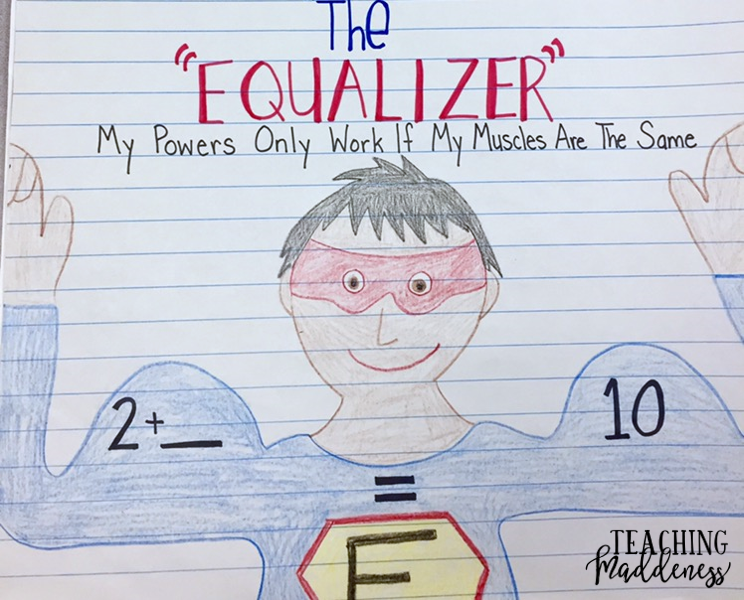 Drawing these "muscles" really lets students see the two sides of the equation. This visual is just what many students need to be able to understand the problem and filll in the missing addend. However, a few students may still make careless errors. So, once the muscles are completed, the final step is to check. 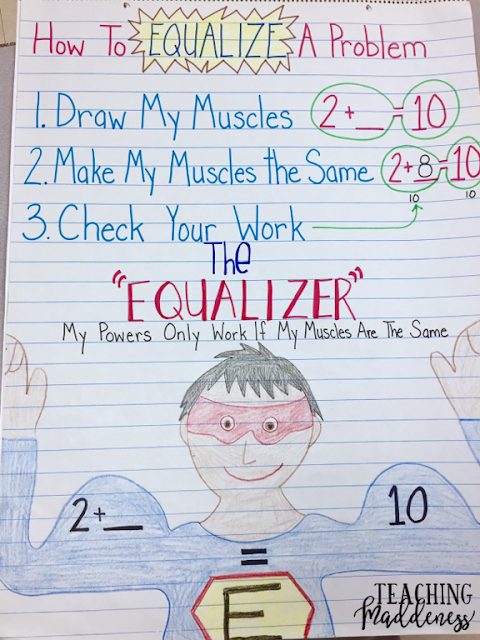 I actually have my students label the muscles when checking to prove that the are equal. If they're not, the student knows they need to go back and try it again. So, to review, these are the steps we use to "equalize" a problem. 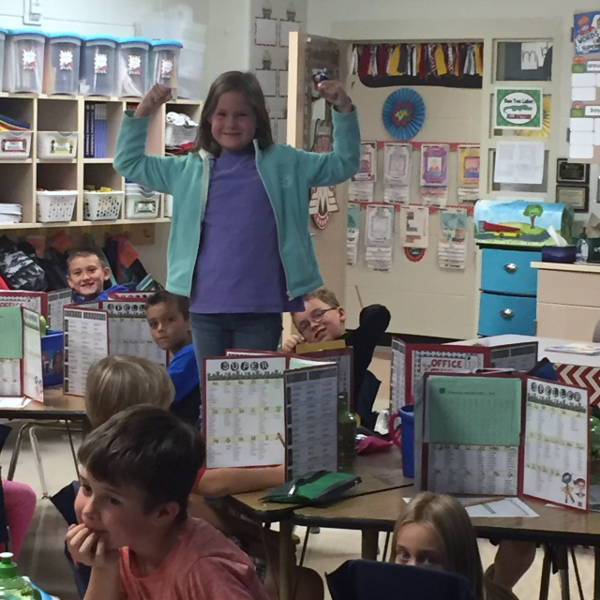 When we're practicing this as a whole group, I let students who solve the problem correctly stand up on their chairs and flex their muscles for us! They've become EQUALIZERS! They kind of eat it up. 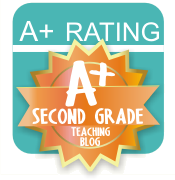 :) I hope this little tip helps your students master the tricky concept of missing addends! KAZOO Are About To Go Back To School! Just popping in to leave a little Back To School Freebie for you today. You can pick up the KAZOOS at Target in the party section (12 per pack). Download the tags for free HERE. Hi friends! 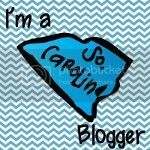 I found it a struggle this past school year to balance everything (for a multitude of reasons) and sadly my blog was the one that suffered most. I aim to change that this summer! My first post back is to announce that I did not forget that Teacher's Clubhouse turns TEN this year! 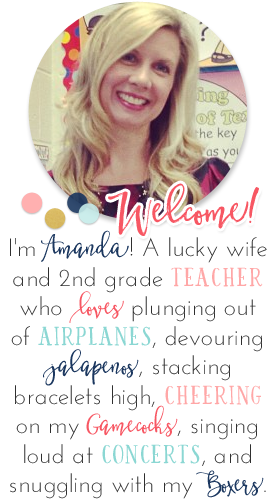 It's hard to believe that I started officially sharing all the resources I created ten years ago!! Wow - time flies! I couldn't let it pass me by since I always love to do a big celebration. This year is no different. 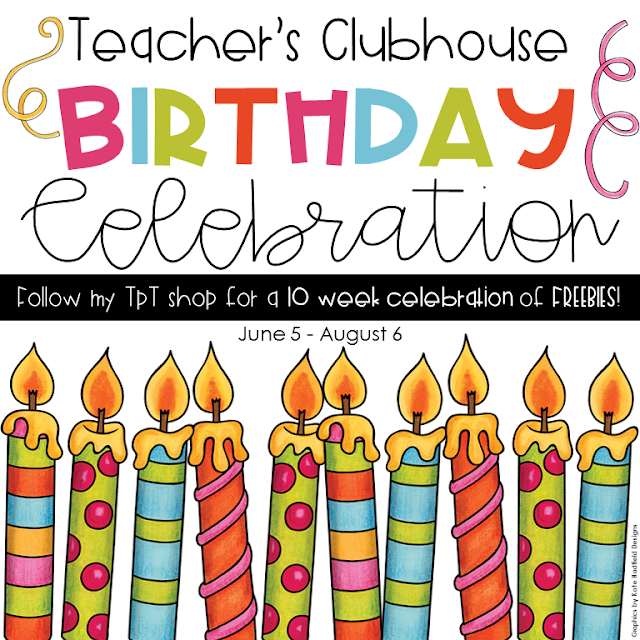 There will be TEN WEEKS of FREEBIES! The first freebie ends TODAY so be sure to go grab it from my shop. It is my newly updated Birthday Bash pack to help you celebrate students' birthdays in the classroom. You can grab it HERE. 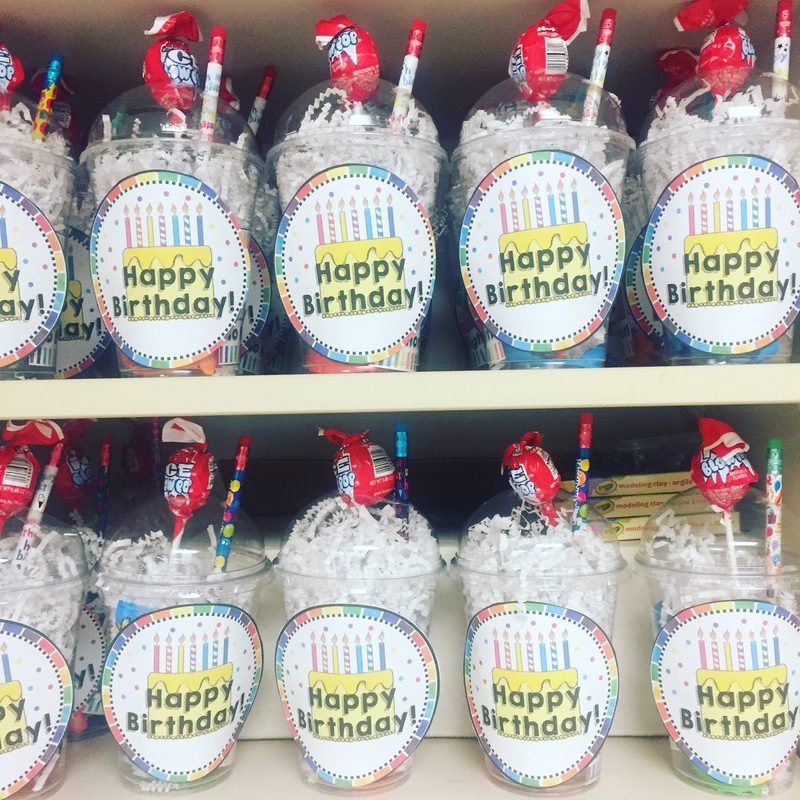 ...and everything you need to create birthday cups for your students. 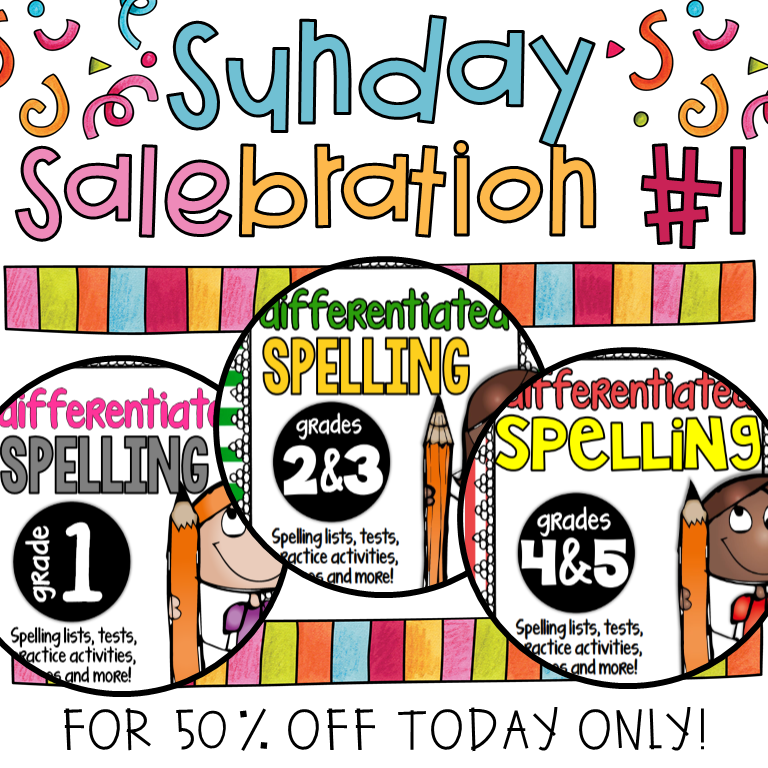 I'm also hosting a SUNDAY SALEBRATION every Sunday during my 10 week Birthday Bash, where I will be posting one of my yearlong big bundles for 50% off for ONE DAY ONLY. one of my Differentiated Spelling Packs for just $9.99! 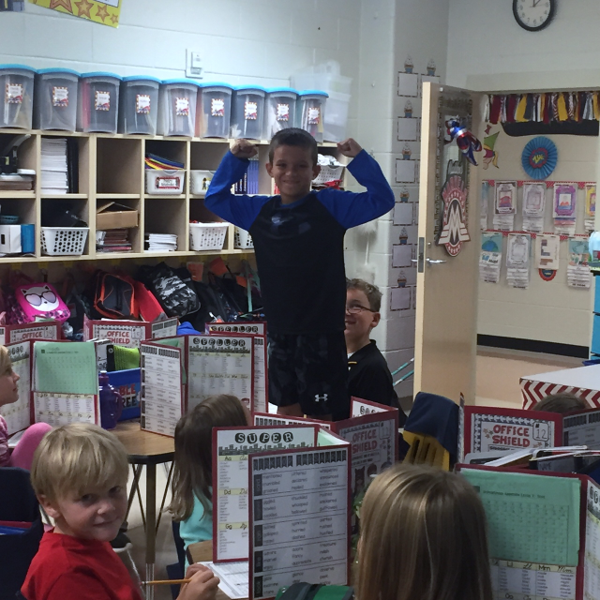 Everything you need for the year - word lists, spelling tests, practice activities, games, homework menu, handwriting practice, and MORE! So, don't miss out over the next 10 weeks! 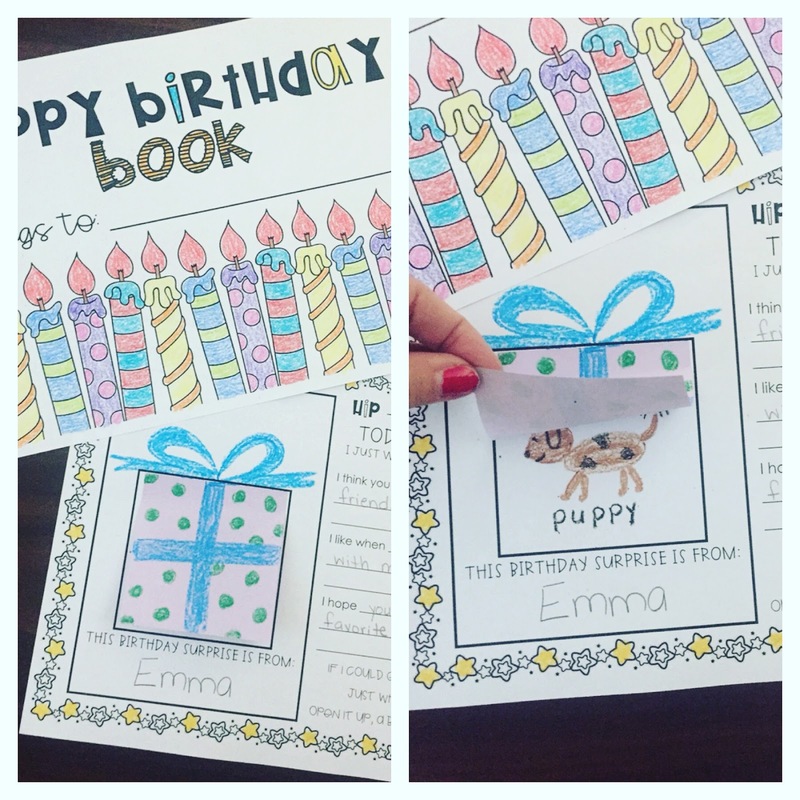 I'll have a brand new freebie to post tomorrow in my shop! Follow along so you don't miss out!